DMC Logistics is a leading provider of same and next-day, critical LAST MILE, FINAL MILE logistics solutions for timely, accurate, and secure delivery in Arizona, Colorado, Idaho, Nevada, New Mexico, Texas, Utah, and points beyond. Headquartered in Albuquerque, New Mexico, our team fully understands the impact at the Last Mile – it is critical to our client’s success, and ours. 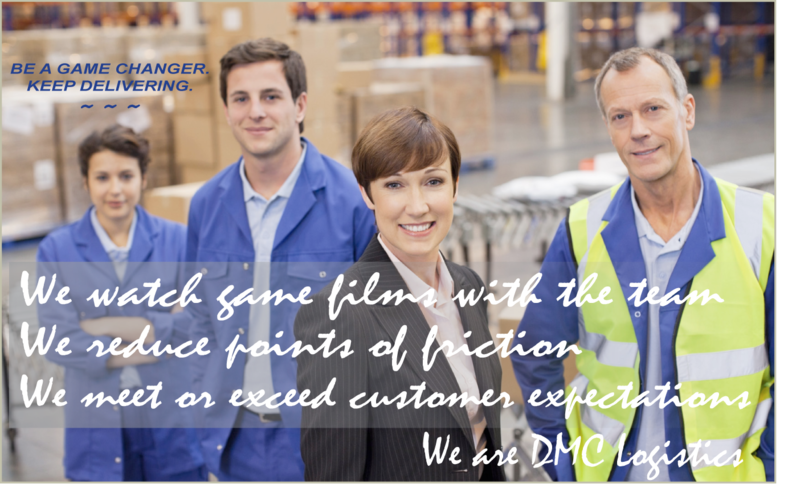 At DMC Logistics we are passionate about achieving the best results while honoring our client requirements. Additionally, we provide partnering to 3PLs. With a scalable fleet and excellent visibility, our air and ground network is readily poised to grow with your business needs. At DMC Logistics, our delivery solutions enhance the way you do business resulting in positive experiences for people who work in deadline oriented environments and whose product has an impact at the final mile. We call this ‘Logistics Thinking’ ~ Our clients call it smart!